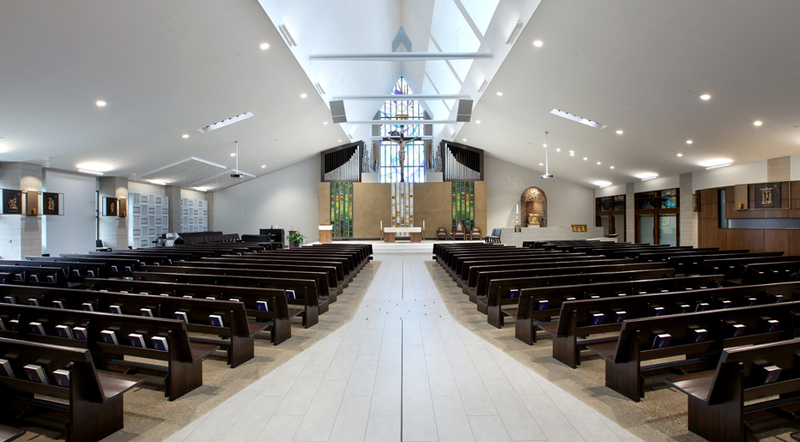 After losing their church to a devastating fire in July of 2012, members at St. Mary Magdalen Catholic Church turned to Progressive AE’s worship team for help in the rebuilding process. 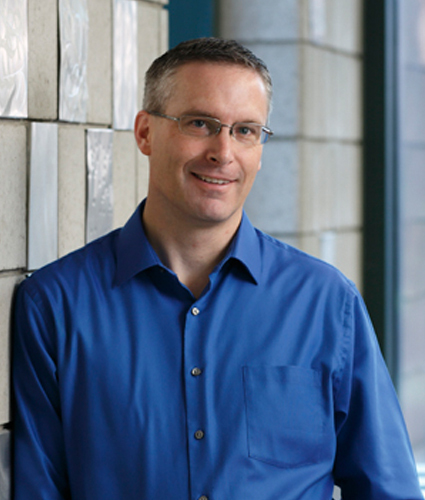 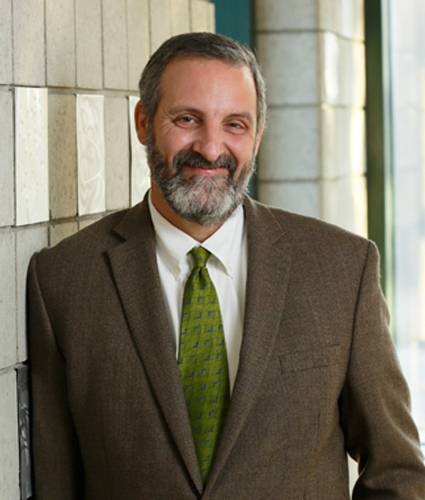 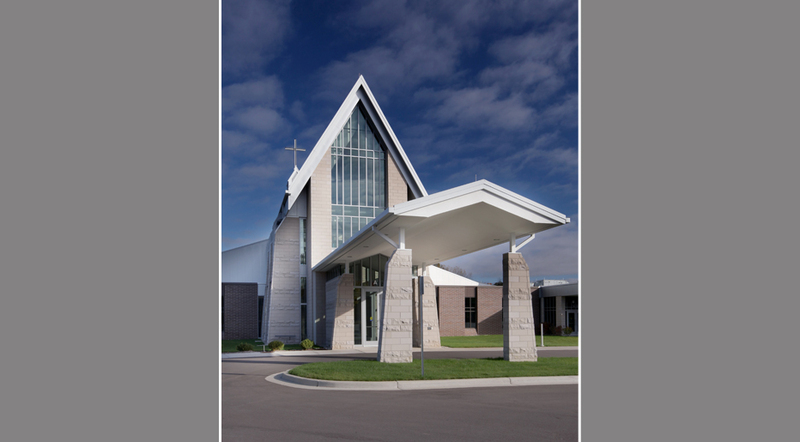 Members wanted a new church that would be a beacon of welcome to the community, and a reflection of their Catholic identity. 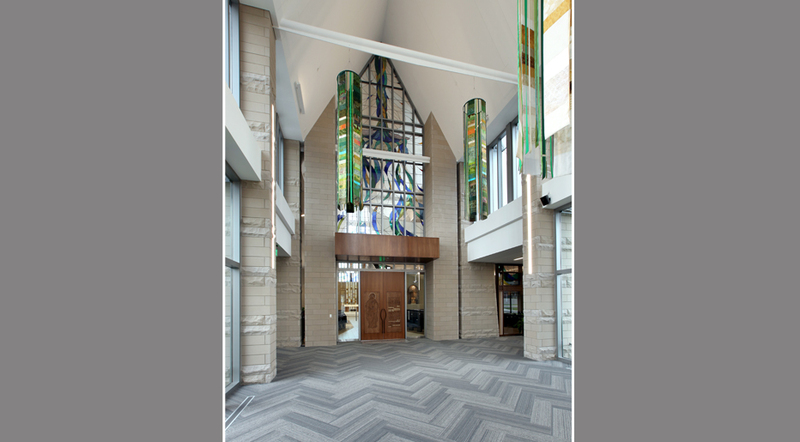 The new church was designed to create a spiritual experience and presence for all parishioners, as well as the surrounding community. 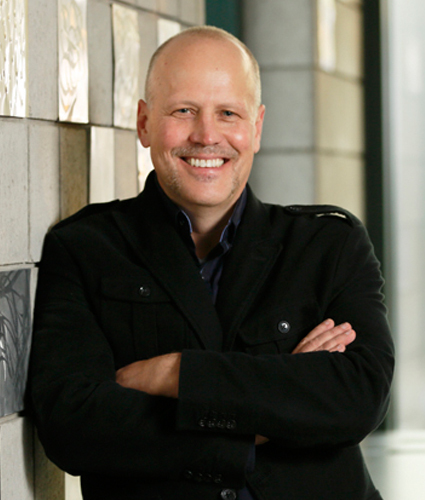 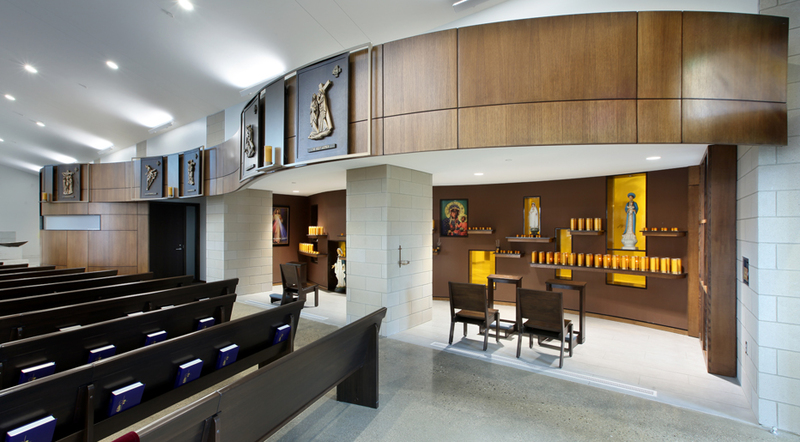 The divine presence of the church is communicated through texture, materiality and height. 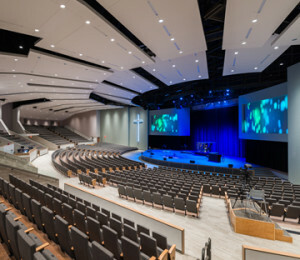 Through use of clerestory daylighting and stained glass artistry, the sanctuary works to connect members to nature and, ultimately, their spirituality. 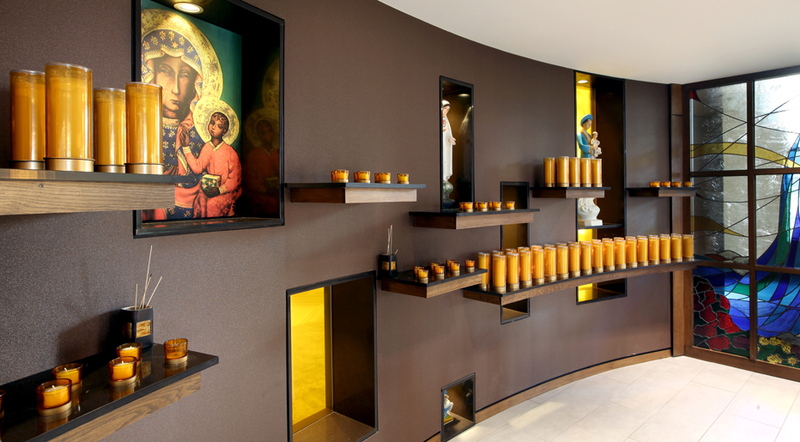 Portraying beauty and mystery, the tabernacle is sheltered by a bronze baldacchino sculpture. 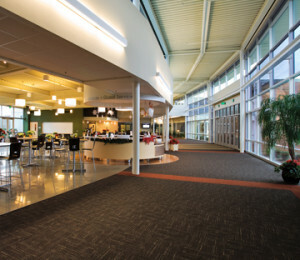 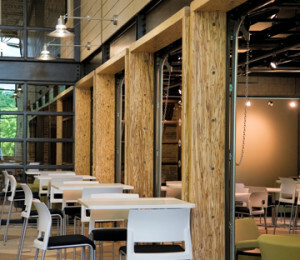 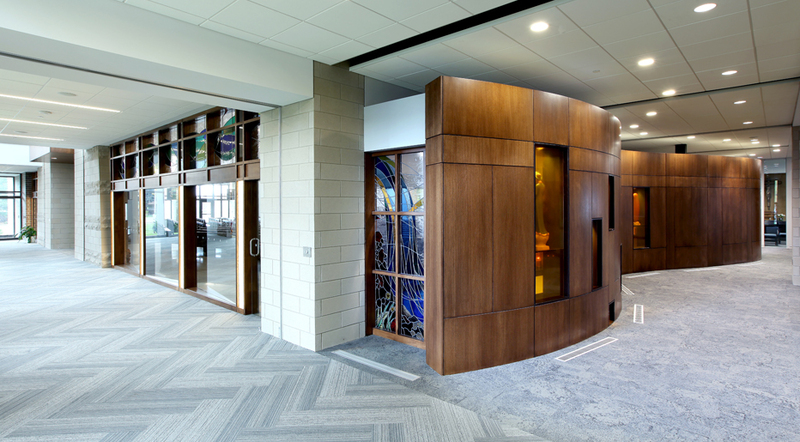 A transparent and lively gathering area supports worship activities and welcomes both members and visitors into the church. 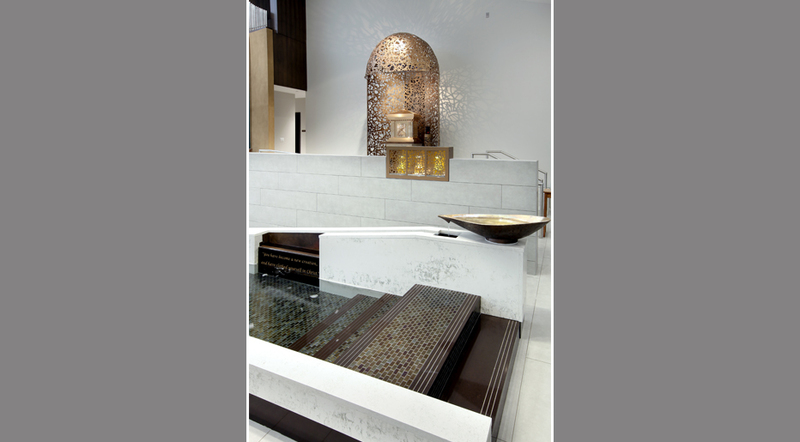 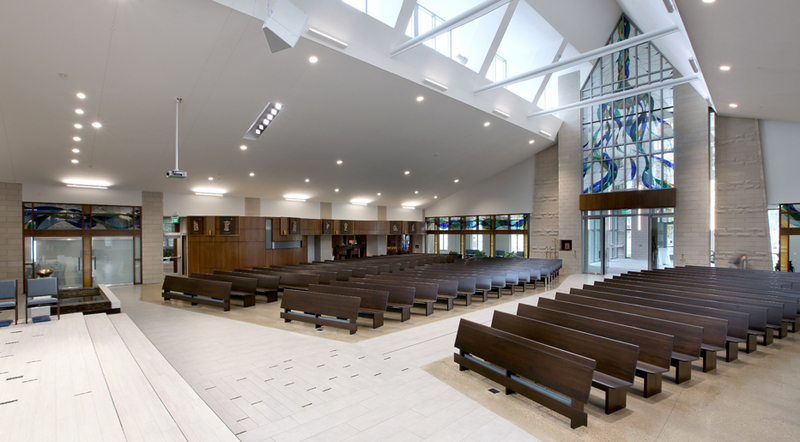 The spirituality of the space is created through the use of natural lighting and texture, showcasing the activity within the church to the community. 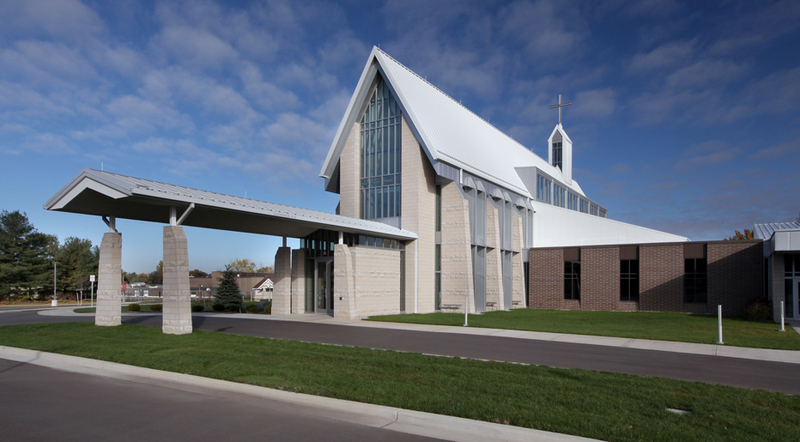 St. Mary Magdalen Catholic Church aims to serve as a beacon for the community and to become known as a place that is safe, welcoming, and spiritual. 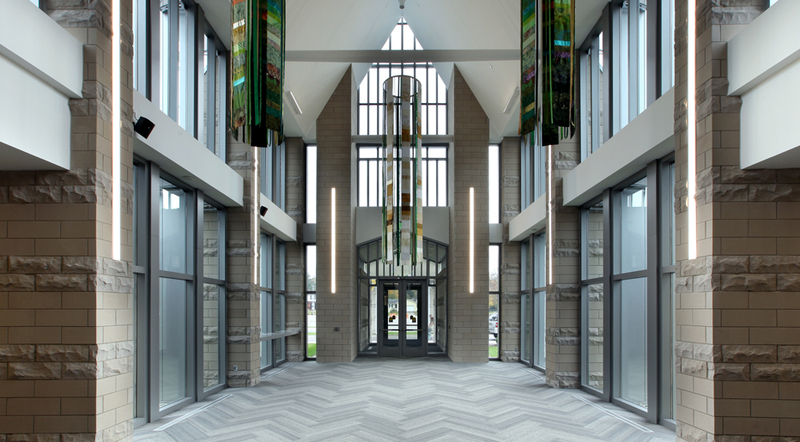 Awards: St. Mary Magdalen Catholic Church received a design award from AIA Grand Rapids, and a Solomon Award for Best Church Building Design from Worship Facilities Magazine. 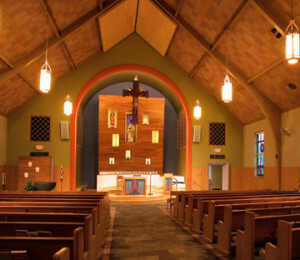 The rebuilt church included new spaces for gathering, reconciliation rooms, baptismal, candle room and administrative offices.